Ruby March 7, 2016 March 7, 2016 No Comments on SCHOLASTIC BOOK FAIR! Scholastic Book Fair is coming to Dighton Elementary School this week in the Science Lab. 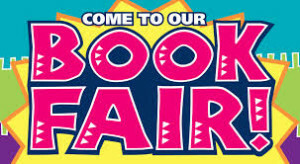 The Book Fair will be open everyday from 3:30 to 5:30 p.m. Teacher’s have created a wish list of books they would like for their classroom. Hope to see everyone @ the Scholastic Book Fair!